"Commuting on two wheels instead of four is better for your health and the environment. But when it comes to safety, there's only so much a helmet and reflector can do. For the rest, there's the Blessing of the Bikes (theblessingofthebikes.com). 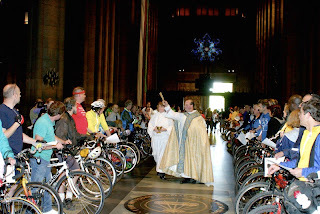 Held each spring at New York City's Cathedral Church of St. John the Divine, the event invites bikers of all faiths and backgrounds to bring their bikes for a sprinkling of holy water and a blessing from Reverend Canon Thomas Miller. If you can't make it to Manhattan, organize your own event at a local church, temple, or even in your own backyard. 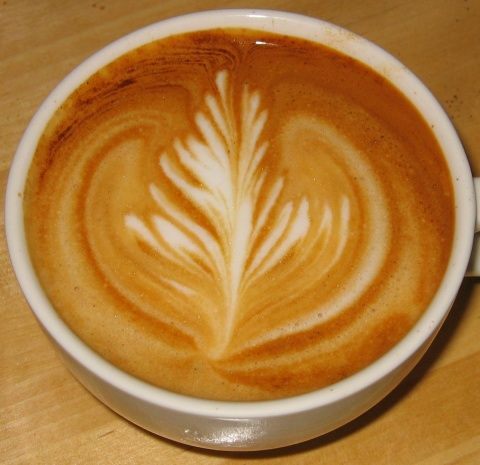 Take inspiration from the event's traditional reading from Ezekiel 1: 'Wherever the spirit would go, they went and the wheels rose along with them; for the spirit of the living creature was in the wheels.'" I think I may have found myself a new ministry. Boulder needs the Blessing of the Bikes, don't you think?! YES!! What a wonderful idea!! i want to start a "blessing of the iphone!" Hmmmm ... Could blessing things in worship somehow keep us from abusing them to numb the pain? Would a community blessing of our techno-tools break my internet idolatry?